WARNING: One ingredient in this product is acetaminophen. Taking too much acetaminophen may cause serious (possibly fatal) liver disease. Adults should not take more than 4000 milligrams (4 grams) of acetaminophen a day. If you have liver problems, consult your doctor or pharmacist for a safe dosage of this medication. Daily use of alcohol, especially when combined with acetaminophen, may increase your risk for liver damage. Avoid alcohol. Check with your doctor or pharmacist for more information. Get medical help right away if you have any symptoms of liver damage, including: dark urine, persistent nausea/vomiting, stomach/abdominal pain, extreme tiredness, or yellowing eyes/skin. Acetaminophen is an ingredient found in many nonprescription products and in some combination prescription medications (such as pain/fever drugs or cough-and-cold products). Carefully check the labels on all your medicines because they may also contain acetaminophen. Ask your pharmacist about using those products safely. Get medical help right away if you have taken more than 4000 milligrams of acetaminophen a day, even if you feel well. HOW TO USE: See also Warning section. Take this medication by mouth as directed by your doctor, usually every 4 to 6 hours as needed for pain relief. You may take this drug with or without food. If you have nausea, it may help to take this drug with food. Ask your doctor or pharmacist about other ways to decrease nausea (such as lying down for 1 to 2 hours with as little head movement as possible). The dosage is based on your medical condition and response to treatment. To reduce your risk of side effects, your doctor may direct you to start this medication at a low dose and gradually increase your dose. Follow your doctor's instructions carefully. The maximum recommended dose is 8 tablets per day. Do not increase your dose, take the medication more frequently, or take it for a longer time than prescribed. Properly stop the medication when so directed. Pain medications work best if they are used as the first signs of pain occur. If you wait until the pain has worsened, the medication may not work as well. If you have ongoing pain (such as due to arthritis), your doctor may direct you to also take long-acting narcotic medications. Other non-narcotic pain relievers (such as naproxen, ibuprofen) may also be prescribed with this medication. Ask your doctor or pharmacist if you have any questions about using this medication safely with other drugs. This medication may cause withdrawal reactions, especially if it has been used regularly for a long time or in high doses. In such cases, withdrawal symptoms (such as restlessness, watering eyes, runny nose, nausea, sweating, muscle aches) may occur if you suddenly stop using this medication. To prevent withdrawal reactions, your doctor may reduce your dose gradually. Consult your doctor or pharmacist for more details, and report any withdrawal reactions immediately. When this medication is used for a long time, it may not work as well. Talk with your doctor if this medication stops working well. Along with its benefits, this medication may rarely cause abnormal drug-seeking behavior (addiction). This risk may be increased if you have abused alcohol or drugs in the past. Take this medication exactly as prescribed to lessen the risk of addiction. Tell your doctor if your pain persists or worsens. SIDE EFFECTS: See also Warning section. Nausea, vomiting, constipation, lightheadedness, dizziness, drowsiness, or sweating may occur. Some of these side effects may decrease after you have been using this medication for a while. If any of these effects persist or worsen, tell your doctor or pharmacist promptly. To prevent constipation, eat a diet adequate in fiber, drink plenty of water, and exercise. Ask your pharmacist for help in selecting a laxative (such as a stimulant type with stool softener). To reduce the risk of dizziness and lightheadedness, get up slowly when rising from a sitting or lying position. Remember that your doctor has prescribed this medication because he or she has judged that the benefit to you is greater than the risk of side effects. Many people using this medication do not have serious side effects. Tell your doctor immediately if any of these unlikely but serious side effects occur: mental/mood changes (such as agitation, confusion, hallucinations), severe stomach/abdominal pain, difficulty urinating. Get medical help right away if any of these rare but serious side effects occur: fainting, seizure, slow/shallow breathing, unusual drowsiness/difficulty waking up. This medication may rarely cause a very serious condition called serotonin syndrome. The risk increases when this medication is used with certain other drugs (see Drug Interactions section). Get medical help right away if you develop some of the following symptoms: hallucinations, unusual restlessness, loss of coordination, fast heartbeat, severe dizziness, unexplained fever, severe nausea/vomiting/diarrhea, twitching muscles. A very serious allergic reaction to this drug is rare. However, get medical help right away if you notice any of the following symptoms: rash, itching/swelling (especially of the face/tongue/throat), severe dizziness, trouble breathing. This is not a complete list of possible side effects. If you notice other effects not listed above, contact your doctor or pharmacist. In the US - Call your doctor for medical advice about side effects. You may report side effects to FDA at 1-800-FDA-1088. In Canada - Call your doctor for medical advice about side effects. You may report side effects to Health Canada at 1-866-234-2345. PRECAUTIONS: See also Warning section. Before taking this product, tell your doctor or pharmacist if you are allergic to tramadol or acetaminophen; or if you have any other allergies. This product may contain inactive ingredients, which can cause allergic reactions or other problems. Talk to your pharmacist for more details. Before using this medication, tell your doctor or pharmacist your medical history, especially of: brain disorders (such as head injury, tumor, seizures), breathing problems (such as asthma, sleep apnea, chronic obstructive pulmonary disease-COPD), kidney disease, liver disease, mental/mood disorders (such as confusion, depression, suicidal thoughts), personal or family history of regular use/abuse of drugs/alcohol, stomach/intestinal problems (such as blockage, constipation, diarrhea due to infection, paralytic ileus), difficulty urinating (such as due to enlarged prostate). This drug may make you dizzy or drowsy. Do not drive, use machinery, or do any activity that requires alertness until you are sure you can perform such activities safely. Avoid alcoholic beverages. Before having surgery, tell your doctor or dentist about all the products you use (including prescription drugs, nonprescription drugs, and herbal products). 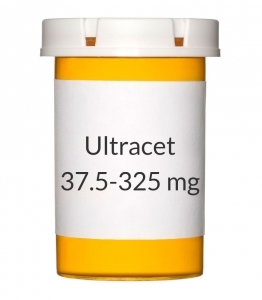 Older adults may be more sensitive to the effects of this drug, especially dizziness, drowsiness, or urinary problems. Before using this medication, women of childbearing age should talk with their doctor(s) about the risks and benefits. Tell your doctor if you are pregnant or if you plan to become pregnant. During pregnancy, this medication should be used only when clearly needed. It may slightly increase the risk of birth defects if used during the first two months of pregnancy. Also, using it for a long time or in high doses near the expected delivery date may harm the unborn baby. To lessen the risk, take the smallest effective dose for the shortest possible time. Tell the doctor right away if you notice any symptoms in your newborn baby such as slow/shallow breathing, irritability, abnormal/persistent crying, vomiting, or diarrhea. This product passes into breast milk and may rarely have undesirable effects on a nursing infant. Tell the doctor immediately if your baby develops unusual sleepiness, difficulty feeding, or trouble breathing. Consult your doctor before breast-feeding. DRUG INTERACTIONS: See also Warning section. The effects of some drugs can change if you take other drugs or herbal products at the same time. This can increase your risk for serious side effects or may cause your medications not to work correctly. These drug interactions are possible, but do not always occur. Your doctor or pharmacist can often prevent or manage interactions by changing how you use your medications or by close monitoring. Some products that may interact with this drug include: certain pain medications (mixed narcotic agonist-antagonists such as pentazocine, nalbuphine, butorphanol), narcotic antagonists (such as naltrexone). Avoid taking MAO inhibitors (isocarboxazid, linezolid, methylene blue, moclobemide, phenelzine, procarbazine, rasagiline, selegiline, tranylcypromine) during treatment with this medication and for two weeks before and after treatment. In some cases a serious (possibly fatal) drug interaction may occur. Before using tramadol, report the use of other drugs that increase serotonin, such as dextromethorphan, lithium, St. John's wort, sibutramine, street drugs such as MDMA/"ecstasy," tryptophan, certain antidepressants including SSRIs (such as citalopram, paroxetine) and SNRIs (such as duloxetine, venlafaxine), "triptans" used to treat migraine headaches (such as eletriptan, sumatriptan), among others. The risk of serotonin syndrome may be more likely when you start or increase the dose of these medications. Other medications can affect the removal of tramadol from your body, which may affect how tramadol works. Examples include quinidine, azole antifungals (such as itraconazole), HIV drugs (such as ritonavir), macrolide antibiotics (such as erythromycin), rifamycins (such as rifampin), drugs used to treat seizures (such as carbamazepine), among others. The risk of serious side effects (such as slow/shallow breathing, severe drowsiness) may be increased if this medication is taken with other products that may also affect breathing or cause drowsiness. Therefore, tell your doctor or pharmacist if you are taking other products such as alcohol, allergy or cough-and-cold products, medicine for sleep or anxiety (such as alprazolam, diazepam, zolpidem), muscle relaxants, other narcotic pain relievers (such as morphine), and psychiatric medicines (such as risperidone, amitriptyline, trazodone). Your medications or doses of your medications may need to be changed. OVERDOSE: If overdose is suspected, contact a poison control center or emergency room immediately. US residents can call the US National Poison Hotline at 1-800-222-1222. Canada residents can call a provincial poison control center. Symptoms of overdose may include: nausea, vomiting, unusual sweating, slow breathing, slow/irregular heartbeat, loss of consciousness, seizure. STORAGE: Store at room temperature between 59-86 degrees F (15-30 degrees C) away from moisture. Keep all medications away from children and pets. Do not flush medications down the toilet or pour them into a drain unless instructed to do so. Properly discard this product when it is expired or no longer needed. Consult your pharmacist or local waste disposal company for more details about how to safely discard your product.